Chair of Medicine at UT Southwestern Medical Center. Over the next 36 years, he took a medical school housed in a single barracks and built a world-class academic medical center. 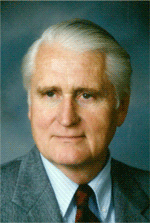 In 1964, Dr. Lloyd H. (“Holly”) Smith became the Chair of the Department of Medicine at the University of California, San Francisco. When his tenure ended in 1985, he had shaped the institution into one of the most respected nationally and globally. The impact that Drs. Seldin and Smith have had on the physician-scientist community has been tremendous. Together, their philosophical and practical advocacy for academic medicine has touched the lives of countless peers, mentees, and patients. Nearly 50 years later, young physician-scientists face a career path that presents surprisingly similar challenges, in addition to extreme competition for funds, faculty positions, space, and recognition. However, the legacies of Drs. Seldin and Smith are a testament to the impact that perseverance and dedication to the mission can have – particularly on the community of physician-scientists. The Donald Seldin~Holly Smith Award for Pioneering Research will serve two worthy purposes: to honor these exceptional colleagues and mentors, and to foster the careers of physician-scientists. In late 2015, the ASCI will call for nominations of promising young physician-scientists. In 2016, the ASCI will announce the first recipient of the Award, who will receive an unrestricted grant, be provided with focused mentoring through the ASCI, and deliver a highlighted lecture at the 2017 ASCI/AAP Joint Meeting. Your contribution to this important effort will help the ASCI honor the outstanding legacies of Drs. Seldin and Smith.